The Urban Living Homes development, Willow at Kangaroo Point, has almost sold out of one bedroom apartments. 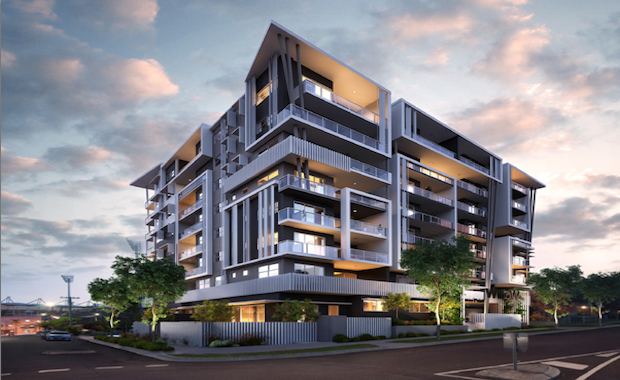 The $37 million new project was launched in December by the boutique Brisbane developer and offers a range of apartments, located five minutes from the Brisbane CBD. The development features a unique rooftop recreation deck with a BBQ area, artificial turf and cinema screen and is located close to the restaurants and bars surrounding the Logan Rd precinct. said first time buyers and investors had secured the one bedroom apartments within six weeks of the launch. “What the sales show is that people are still buying affordable, well-designed property,” Ms Barry said. Project marketer CBRE Residential Projects are engaged to exclusively sell the new project, with one bedroom apartments starting at $365,000 and two bedroom apartments at $498,000. The development, designed by Hayes Anderson Lynch, is centred on the concept of peaceful, yet luxurious living. Ms Barry said inquiries since the launch showed there is still strong demand for property under $520,000. “Some commentators talk about the oversupply of apartments but the reality is there is still a huge undersupply in Kangaroo Point,” she said. Construction on the new 11 storey development is planned to commence in May/June of this year.